Brands have some really fun yet predictable ways to celebrate April Fools and especially when it comes to condom brands, they come up with the weirdest campaigns that you can imagine. This year, Manforce came up with Hyderabadi biryani flavoured condoms, which was eventually revealed to be a prank. The condom company's tweet read: "Hyderabad in the field, Hyderabad in the sheets. 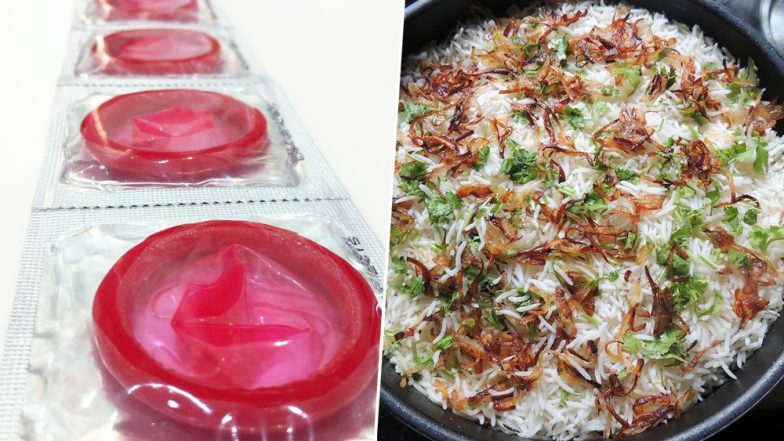 Introducing Manforce Biryani Flavoured Condom. #ManforceCondoms". And then Zomato replied to their tweet in the most unexpected way! April Fools' Day 2019: Vijay Mallya Shares Kingfisher Instant Beer, Radler, and IPL Prank Videos, Tries to Fool Indians; Don't Fall For Him Again. Please! This is not what we meant by foodgasm. To address Zomato's dig, Manforce replied in the most hilarious way. A meal that burns calories instead of adding them? 😏 Imagine those midnight cravings. This conversation has left people in splits, and the conversation received a bunch of epic responses. It just promotes "dinner before bed" ! Sometimes you really need such conversations to brighten your day. We really wonder what other flavours, rather April Fools' condom flavours are we going to witness. Is litti chokha flavour next?